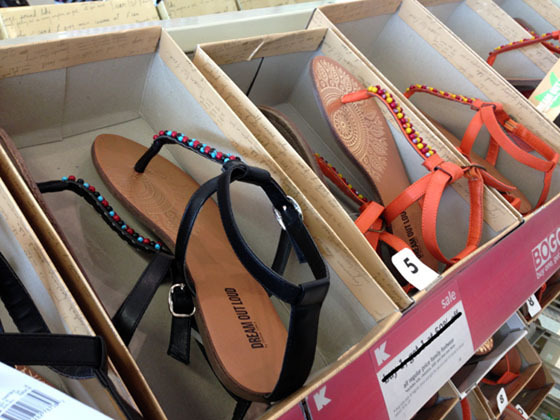 Kmart is one of the original pioneers on the West End of 34th Street, but I always forget to visit their shoe department (probably because I get immediately waylaid by the Route 66). The other week, while checking out shoe stores across the street, I remembered to peruse the Kmart shoes. And happily discovered the adorableness of Selena Gomez's Dream Out Loud sandals. 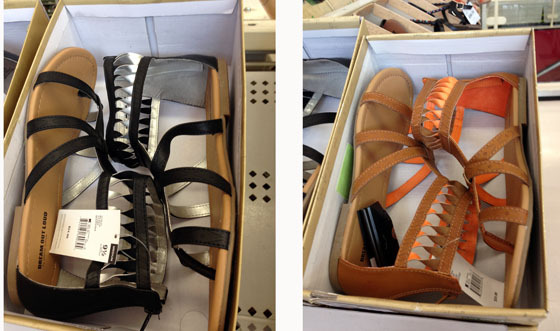 Cute, cute gladiators for $16.99. 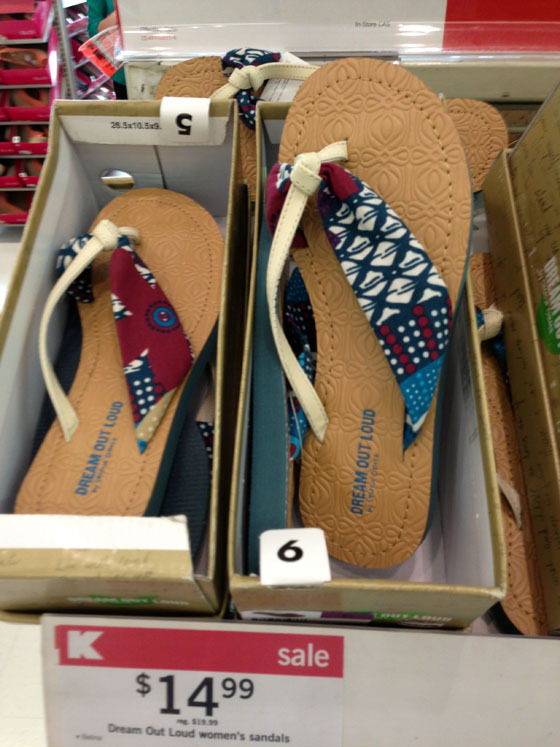 Scarf print sandals, so resort. A great little beaded sandal for $14.99 (I crossed out the B1G1 sale as I can't confirm it's still on! ).